We at Tollgate Farm are dedicated to rearing the most flavoursome and succulent turkey in the midlands whether they be our Free Range Bronze or our Traditional Barn Reared White Turkey. Proprietor Charles Hammond has been rearing quality Christmas Turkeys for over 50 years. 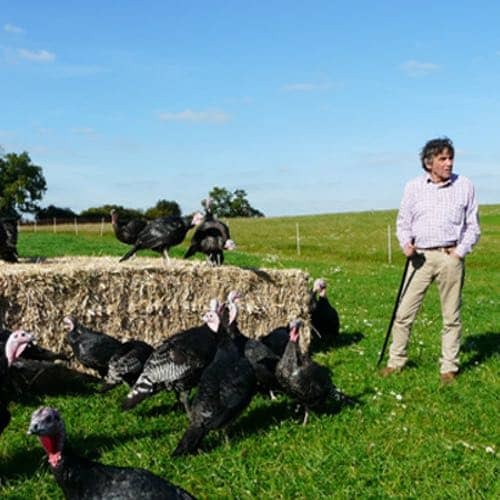 At Tollgate Farm we use established good practice of animal husbandry and close monitoring of welfare meaning that our turkeys live a long, happy and healthy life. Which allows them to mature slowly producing the ideal bird to provide a delicious Christmas meal with a distinctive taste and texture.